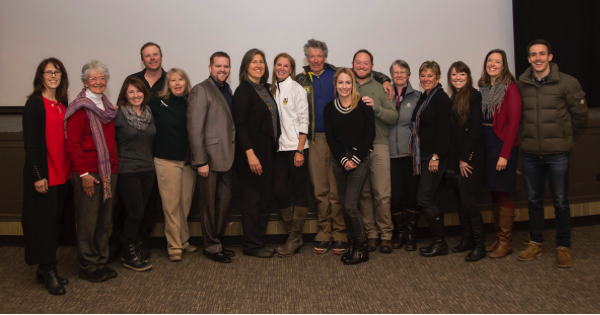 The Ligety, Leader and Juliano Team believes in connecting with the community and supporting local non-profits. We proudly participate in the Art of Giving through Summit Sotheby's International Realty Cares. To read more about the 2016 contributions, please click here. Posted in Miscellaneous, Local News, Lifestyle and Recreation, Live PC Give PC | 0 Responses to "The Art of Giving"
Join us for Santa's visit on December 21st from 3-6 PM at 625 Main Street! Please click here for more information. Posted in Miscellaneous, Local News, Lifestyle and Recreation | 0 Responses to "Santa Visits 625 Main Street December 21st"
On Tuesday, the new Kimball Junction Transit Center opened with hopes of alleviating traffic concerns on SR-224. According to good4utah.com, additional plans for electric buses and express routes as well as transportation funding for road improvements should begin to take effect next year. To read the full the full article, click here. Posted in Miscellaneous, Local News, Lifestyle and Recreation, Canyons | 0 Responses to "Kimball Junction Transit Center Is Operational"
Help support our local non-profits during Live PC Give PC on November 4th! Read more about the opportunity to give back here. Posted in Miscellaneous, Local News, Lifestyle and Recreation, Live PC Give PC | 0 Responses to "Live PC Give PC Day is November 4th"
As the second city in Utah and the nineteenth city in the US, Park City joins the commitment to fully shift to renewable electricity by 2032. Read more in the Eco Watch article by clicking here. Posted in Miscellaneous, Local News, Lifestyle and Recreation, Live PC Give PC | 0 Responses to "Park City Pledges To Use 100% Renewable Energy By 2032"